WASHINGTON — For the final time, President Obama will mount the rostrum in the House chamber on Tuesday to deliver a State of the Union address. But this time, aides said, he will not bring with him a long list of proposals that will languish in Congress — after all these years, a victory of experience over hope. 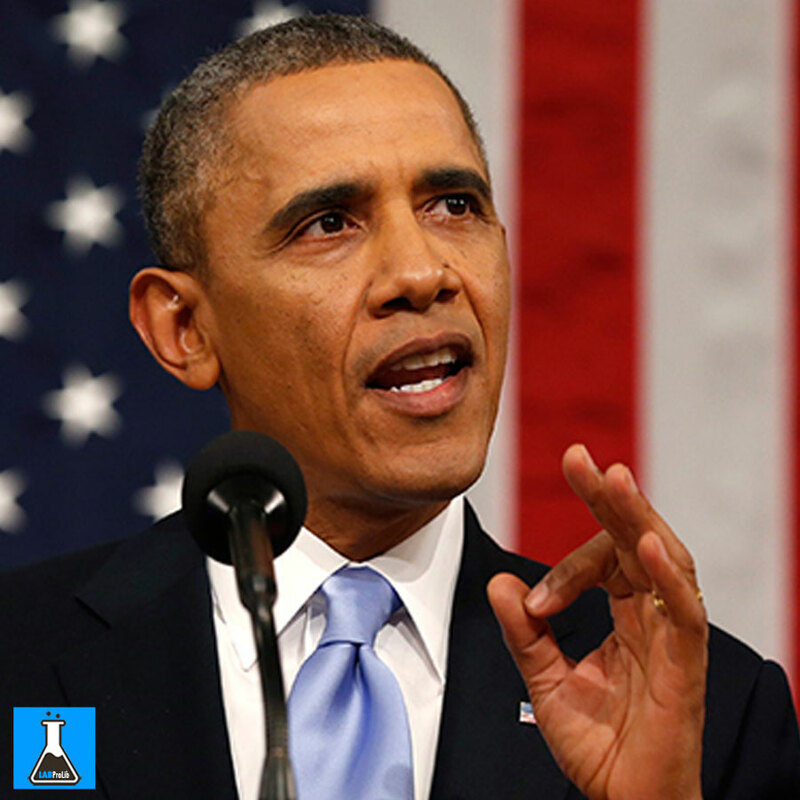 Instead, Mr. Obama plans a thematic message that effectively will be as much a campaign agenda as a governing document. While not on the ballot himself, Mr. Obama hopes to use what may be the largest television audience left in his presidency to frame the debate about who should replace him and where the country should go from here. This is a decisive moment for the two-term president, the pivot point where he goes from priority setter to celebrity spectator in the contest for the future. His speech and the days that follow offer a last chance to bolster his lagging poll ratings, define his legacy, rebut negative narratives emerging from the campaign trail and challenge his would-be successors to address the issues he deems most vital. Aides say Mr. Obama wants to present an upbeat, optimistic view of America after seven years that will contrast with the gloomy portrayals offered by Republican candidates, a task aided by strong job creation numbers but complicated by continuing turmoil in the Middle East and elsewhere. At the same time, Mr. Obama hopes to generate support for his approach to issues like climate change, gun control, immigration and income inequality that can boost Hillary Clinton, the front-runner for the Democratic nomination, even if it does not result in further action during his tenure. But it is a public that does not share his sunny assessment of the state of the union. In a survey conducted by The New York Times and CBS News in December, 68 percent of Americans said the country is on the wrong track, the highest such figure in more than two years. Many in the poll were unimpressed with the president’s performance on critical issues like the fight against the Islamic State, also known as ISIS or ISIL. That sour public mood has challenged Mr. Obama throughout his presidency. Since he took office, the proportion of Americans who consider the country heading in the right direction in Times-CBS polls has never outnumbered those who think it is on the wrong track. That was true for most of his predecessor’s tenure, too. Republican presidential candidates have tapped that sentiment. That sort of talk has gotten under Mr. Obama’s skin and he wants to use the nation’s biggest platform to push back. As a preview, he sent his White House chief of staff, Denis McDonough, to most of the Sunday talk shows to counter the Republicans, citing the 292,000 new jobs created in December and 2.65 million in all of 2015. The speech comes less than three weeks before the Iowa caucuses kick off the voting for his successor, and one unspoken goal for Mr. Obama is to set the table for Mrs. Clinton. Aides said they did not directly coordinate the president’s speech with her campaign, but did not need to because they know her positions on the issues. His focus on gun control last week is one area where they are in sync, and Mr. Obama said he would be a one-issue voter this year, refusing to support candidates who oppose “common sense” measures. But Mr. McDonough insisted Sunday that the president would not endorse in the Democratic primary regardless of Senator Bernie Sanders’s past opposition to some anti-gun legislation. “He doesn’t get to pick the terms of the debate precisely; he gets to influence them broadly,” said Jeff Shesol, a White House speechwriter for President Bill Clinton. “That was something that was on our minds at this stage in the Clinton White House. We didn’t get to dictate the terms. But we did actually” help shape the debate. The decision to not present a string of new proposals reflects the recognition that Mr. Obama has little chance of securing major legislation from a Republican Congress. Two areas both sides see as likeliest for agreement are an overhaul of the criminal justice system and approval of Mr. Obama’s Asian-Pacific free trade agreement. It may also reflect the normal exhaustion of new ideas in the eighth year of an eventful presidency. The White House went through the usual policy development process in preparation for a more conventional State of the Union address, but after Mr. Obama saw the ideas laid out, none was so compelling that he wanted to make it the centerpiece of his last annual speech. Among the ideas being discussed was a new “moon shot” to cure cancer, sought by Vice President Joseph R. Biden Jr., whose son Beau died of brain cancer last year. Mr. Biden at one point hoped to include a major new initiative in the State of the Union, but it has taken a while to sort through the options and create a plan, so he may wait to reveal it as part of the rollout of the final year budget proposal. White House officials said other ideas generated by the process would still be presented over the course of the year. But they said Mr. Obama decided to talk more broadly about the progress the country has made and the steps needed not just this year but for the next five to 10 years. Aides said he would talk about democracy and the importance of everyone participating in the process. He will follow up with a two-day trip to Nebraska and Louisiana, two Republican states where he will urge governors to expand Medicaidcoverage as part of his health care program. Amazon is partnering with the White House to make Barack Obama’s upcoming State of the Union address viewable on demand, marking the first time the annual events have been put on an on-demand video service. The speech, along with the president’s previous seven State of the Union addresses, will be made available on its Amazon Video platform this week. In competition with Netflix, Hulu, and other streaming services, Amazon has followed their lead in producing its own shows, but the decision to take on the president’s address shows that Amazon is looking at public service as well as pure entertainment as a way to expand. This partnership with the White House makes Amazon look more like PBS than a traditional TV network, and also offers a way for cord cutters to watch a national news event without having to huddle around a monitor or use a Chromecast-esque streaming option. But this certainly isn’t the first time Americans have been able to watch the State of the Union online. The White House started broadcasting the president’s annual addresses on the internet during George W. Bush’s presidency in 2002, and began live streaming an “enhanced” version of the speech from 2011, during Barack Obama’s first term. This year, again, you’ll also be able to watch the whole address live on YouTube or on the White House’s site, but if you miss it — or just want to pore through a piece of history as the president takes the podium — here’s another chance to watch Obama’s last State of the Union. WATCH: NO TRUMP, AMERICA'S PAST WAS NOT GREAT; IT WAS INTENTIONALLY RACIST.